Beginning in April 2019, OPPD will accelerate the replacement of streetlights with new LED fixtures. The utility will convert streetlights on major roads in addition to routine customer outages. For the next five years, OPPD and its contractors will replace 20,000 incandescent streetlights with LED fixtures per year. After the first two to three years of the program, streetlights along all major roads should be complete. At that point, crews that had been working on major roads will look for areas with replacements near completion and infill with new fixtures where needed. More specifically, OPPD will replace 7,000 streetlights fixtures on major thoroughfares in April through June. These types of roads are not highways and interstates in the metro area, but rather main roads such as 72nd Street, Harrison Street and Ames Street. OPPD currently repairs approximately 11,000 customer-reported streetlight outages per year using three crews. The utility will increase those crews to a total of five to meet the higher volume of the LED replacements. So far, municipalities that are OPPD streetlight customers have submitted priority lists of major roads in their cities and towns that crews should target for replacement. Some smaller towns, such as Rulo and Peru, have had all streetlights switched to the new LED fixtures. Todd McLochlin, manager of Utilities and Right of Way Coordination at OPPD, said in those instances, because the towns have a small number of streetlights, it was more efficient to replace all of the fixtures in town rather than travel to replace just one. OPPD representatives have been in touch with municipalities, counties and other streetlight customers since September 2018. OPPD personnel briefed these customers on the transition process to move from high-pressure sodium fixtures to LED fixtures. The streetlight conversion plan began after evaluating three scenarios. They were based on the value to customers in terms of environmental impact, customer satisfaction, financial impact and technological advances. OPPD determined a five-year conversion to LED in conjunction with lamp replacement would best meet these criteria. Even though the utility is accelerating its streetlight replacement program, OPPD urges customers to report streetlight outages as they always have. Customers can visit oppd.com to easily locate and report a streetlight outage. 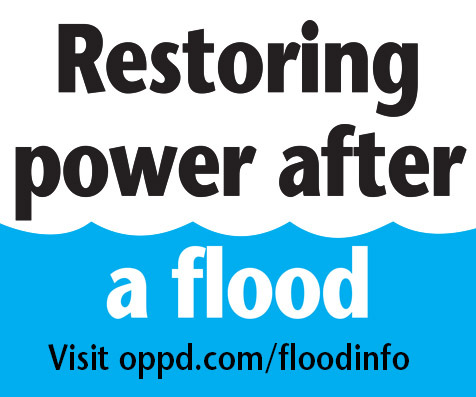 They can also call 1-800-554-6773 or report a streetlight outage on the OPPDConnect phone app. These outages reports will continue to be handled as they always have. After many years of collaborating with streetlight customers, they have come to rely on OPPD to provide expertise, not just in streetlight restoration, but also with knowledge about the latest technologies and design concepts. “We will continue to have their best interests in mind, build upon our community partnerships and explore all of the opportunity and future potential that LED streetlight technology can bring,” said Steve Fanslau, director Customer Service and Government Infrastructure. The lifespan of LED streetlights is four times longer than the current high-pressure sodium fixtures – 15 to 20 years compared to five years. An average reduction of 25 percent in municipalities’ bills translates to savings for their taxpayers. Increased reliability with fewer streetlight outages. 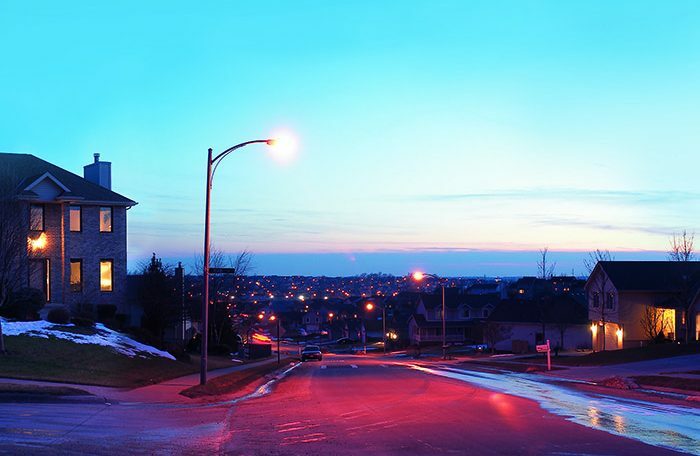 LED fixtures emit a bright, white light compared to the amber tones of current streetlights. This provides better visibility for motorists, bicyclists, pedestrians and serves to deter crime. Beyond cost savings and reliability, when LED lights fail, they dim as opposed to going completely dark. OPPD expects to see a decrease in streetlight outages once the conversion is complete. This will help reduce maintenance, a large component of the streetlight rate. It will also benefit the environment by reducing waste from materials and fuel. Next Next post: April 20, 12:03 p.m.